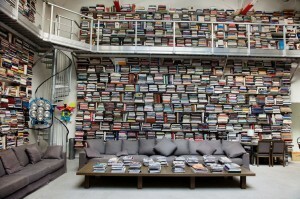 Here’s a fun post with photos of celebrity libraries. As a number of the commenters point out, it’s a stretch to call some of these “libraries” – “bookshelves filled by the interior decorator” is more accurate. I liked some of the little personal touches though. Are those dog show trophies in Joan Rivers’ library? Is my grandmother furnishing Woody Allen with his pillows? Are those law books on Greta Garbo’s shelves? (A commenter claims they are, but my eyes aren’t that sharp.) It’s also entertaining to consider which library you’d like to spend time in. 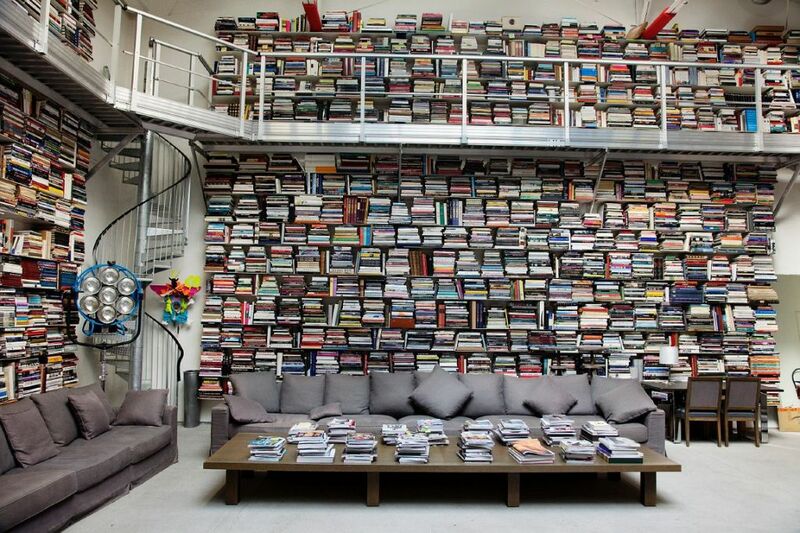 I’m drawn to Karl Lagerfeld’s, but I suspect it has more to do with wanting to nap on one of those enormous couches than anything to do with the books. What a fun post! I like Rod Stewart’s the best – looks comfortable and browsable.